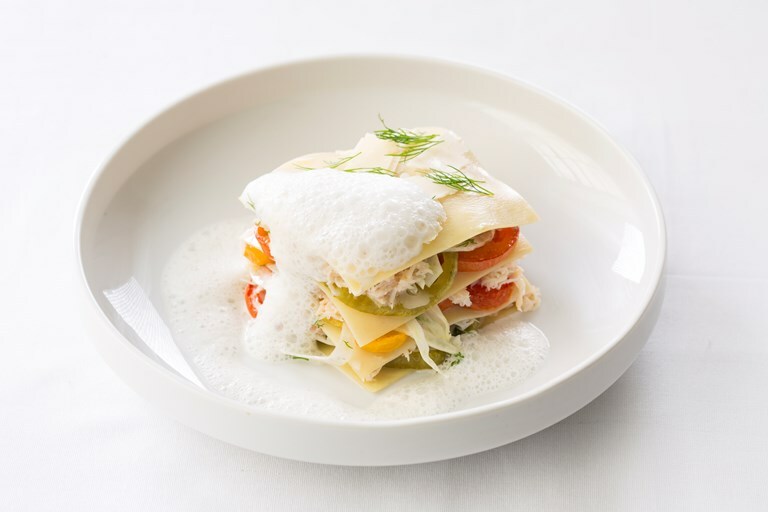 Robert Thompson's open lasagne recipe has a wonderful light flavour from delicate crab meat, sweet, slow-roasted tomatoes and fragrant fennel, layered together with Barilla pasta. Robert uses a mix of local Isle of Wight tomatoes but any range of colourful tomatoes will also work well. This open lasagne will serve 4 as a starter or as a light summer lunch.